I made a script that generates a comment based on the rating of each category. Hopefully I’ll be able to release this as a Chrome extension for the next compo. EDIT: This is NOT supposed to replace real, thoghtful comments. This is a tool mostly for those who don’t write any comments at all. It can also be used as a base to real comments: it writes the boring part for you (the art is this, the theme is that…) and lets you edit to add what really matters. Jeez, the game has certainly lots to do with the theme! The mood adds a lot to the experience, and the appeal to play the entry is very well done. This entry’s relation to the theme is perfect, and also the audio couldn’t have been done any better. It might be worth pointing that your entry’s ability to make me laugh is just fine. The idea’s uniqueness is quite remarkable, also the looks of this entry are just breath-taking. This game is pretty darn near perfection, this is one of the best. A real nice way to spend the weekend! Oh god, what a moody game! The funny aspect left me speechless, and the visuals are nice. The feeling of the entry is clearly one of the best I have seen so far, and also your creativity is not bad. Even though the enjoyability is pretty nice, the way you used the theme needs to be improved. I really enjoyed playing your game, it was great! Great effort! It’s important to note that the funny factor is okay, however the graphics should be worked on. You should work more on the entry’s relationship with the theme. It is true that it would be nice to see an improvement on the innovation, also you should learn how to make the the fun factor better. This game wasn’t that great, unfortunately, but it’s something. I’m sure you’ll do better next time, you have lots of potential. Congrats! I’d really want Unity to have a better MouseLook script in their default assets. If you think this issue is important, vote for it! Are you tired of playing Unity3D games, some of which are great, while being annoyed by a terrible, hyperspeed camera movement that feels very buggy? Do you want Unity to come with a better MouseLook script? If so, please vote on this idea! Enhance the MouseLook.cs script that come with Unity’s standard assets. You are a bomb. You are trapped inside of a volcano. You must escape in a 3D platformer style, that means: jump, double jump, roll. Light yourself on fire, blow stuff up. Can you do it? “Someone should make a game about surfing called “Surf Ace”! After a while, I saw this post by ViKing Games about his progress in his game called Neath: Surf Ace. I asked him if he saw it on the IRC and he confirmed. Now, if you search for “Surf Ace” (as of this post) you will find 8 surfing games. Probably some people just had the same idea for the pun, too. But it’s really weird that someone actually took my idea seriously. Congrats to all the surfers! A bomb that jumps inside a volcano. That’s it for the day. I miss those 3D platformers, so this game is going to be one. Remember that stage of Mario 64 that he goes inside of a volcano? That’s what I ripped off inspired me. Wouldn’t it be cool if you were able to tag your games? Especially with the engine/tool, so I can find specifically Unity games, for example. P.S. : How do I change my profile picture? CodeKube, the game where YOU program! My name is CodeKube, click me! Write a line of code in Unityscript and watch it come to life! Do you have experience with Unity? It will be a breeze to beat the game. Don’t know anything about Unity? Don’t worry, you’ll end up learning something! Run the letter “t” in the box to open a helpful documentation page (enable popups first!). Mess around as much as you want in the menu, but in the real game you only get one semicolon! Let’s see what you come up with. PLAY CodeKube! Unity devs, I beg you: do NOT use standard Mouselook! It breaks my heart to see great Unity games with terrible MouseLook (you know, the one in Standard Assets). It really wouldn’t hurt to use a proper script, like the one I’m using this time. Don’t set sensitivity too high, make it adjustable! Also, I’m in, although I doubt this is interesting in any way. Good luck, everyone! My LD26 entry is a dead link! My LD26 entry is now a dead link since I changed my domain. It is now avaliable again. Does anyone know if there is a way to repair this? I can’t seem to edit my entry. Why can’t we choose the sub-theme? Why would ANYONE want to limit themselves with tower defense? Why can’t we vote on our sub-theme as well? I’m not making a tower defense this LD, NO WAY. Oh, also, I’m in, so let me recycle the past LD “I’m in” post. For Unity users: Stop using the standard Character Controller! Hello there everyone, it has been a very good Ludum Dare. But the only thing I was disappointed about is the amount of people that use the First Person Character Controller prefab from Unity’s Standard Assets. So, I’ve listed some reasons why you should not use it. At LD #25 YOU were the villain. Now THIS is the villain! 1. Standard MouseLook is buggy and horrible. The standart MouseLook script is terrible and should not be used. First, it is imprecise. For some reason, a minor movement makes a glitchy hop to another direction, I don’t really know why. Also, the standardsensibility is too great. Sensibility should be configurable by the player. 2. Your player cannot be a physical object. With the standardCharacter Controller, you are not a physical object. If you add a rigidbody component to it, things get buggy. It’s no use. The movement script makes the physics by itself, and the physics are unrealistic. The acceleration is off and I don’t even know what else. Try adding force to yourself, it is impossible since you are not a physical object. 3. You don’t do the scripts. So, how can you adjust anything on the scripts that come with it if you don’t know how they were done and why they were done that way? The answer is simple: you don’t. Make your own first person walking and MouseLook script, it’s easier than you think, you’ll learn a lot about scripting and you will actually understand what’s going on, you will be able to tune the movement in the way you like it. So, do your own basic scripts, it is good for you. If you have trouble with that, check out my Movement.js and Mouselook.js scripts (they are not perfect) and take a look at RigidbodyFPSWalker. And good luck! SOLIX — What happens when the background color changes? So, I posted my LD #26 entry, SOLIX. It looks like a normal top-view game, where you control a little shape. But everything changes with the way background colors interacts with you. What exactly changes? The easiest way to find out is… playing the game! And also, for everybody that has participated this Ludum Dare, congratulations, you are awesome. Also, if you want me to rate your game, rate mine and I’ll rate yours as soon as possible. 3D Modeling: Blender for geometric-ish stuff and maybe Sculptris for complicated sculpture-y stuff. 1. I asked a question and got an answer in the same day. The answers were very polite and informative. 2. My game kinda sucked, but even people that couldn’t play it pointed some good aspects about it, and that’s just really nice. 4. Some people make awesome stuff like motivational posters and mosaics, and sometimes give tips to others. 5. It’s a lot better to know your game is being rated by people who know how difficult it is to make a game. Just pointing some cool stuff out, because after you read lots of reply chains on YouTube, you end up thinking the whole internet is full of jerks and annoying teenagers, (nothing against teenagerns, I am one) and you are just awesome. 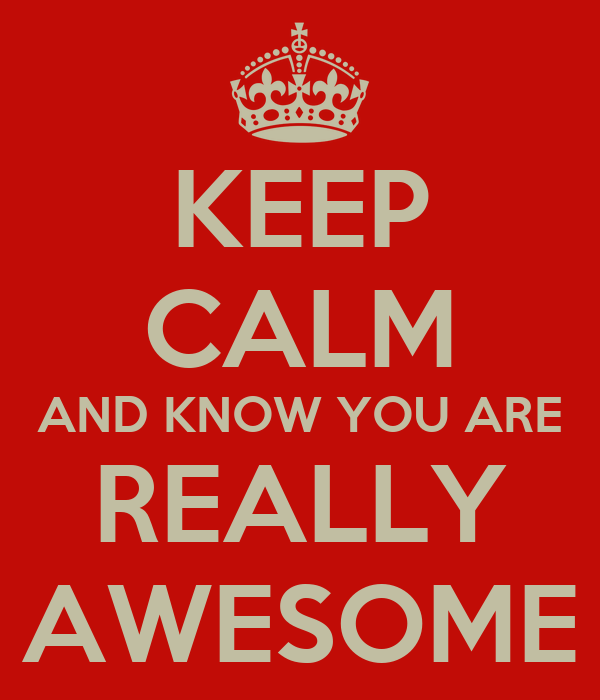 So, if you are reading this, you are probably really awesome. How many ratings are needed? Yes, but does anybody has a clue of how many ratings are needed to place in the final results? I’ve got 22 comments, would that be enough? Also, does everybody always comment while rating? Post Mortem — Awesome Jelly Genocide! This was my first entry. I’m 13 years old and I live in Brazil, in october I started learning how to do stuff on Unity 3D. Well, since I had no cool ideas for games I stopped developing after one or two weeks, but I promised myself I’d participate on the next Ludum Dare. Well, it was really stressful, but I loved it! It’s really satisfacting to make a game in a compo and playing others. Also, I’m really glad I got 9 comments just today! Anyway, this was a lot harder than I thought. I wanted to add lots and lots of features, like bombs, shops, but I didn’t have time for that. Scary Jellycops: they stare through your soul, you must avoid them at any cost. What ye think ya doin’ messing up with my bros? 500 Jellypuffies jumping around innocently: if your computer is slow, the game won’t run well. These orange guys are stealthy: almost always they are behind you, you can’t watch them kill you. Next LD I’ll do much better than this. But if you want to kill cute stuff…. 29 queries executed in 0.114 seconds.